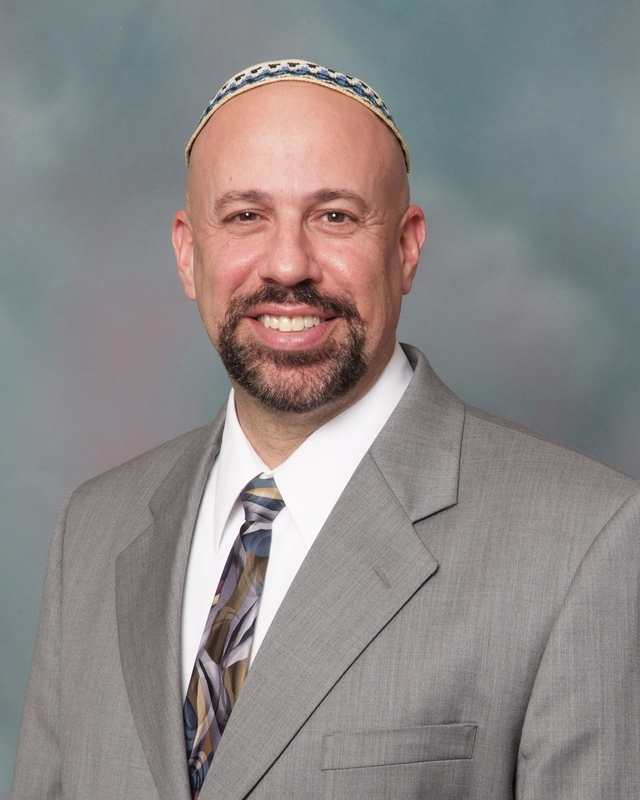 In case you missed it in the Jewish Standard, published in the May 2nd issue, here is a news item by editor Joanne Palmer on the recently published book by Adas Emuno President Lance Strate. The article is entitled From Amusing to Amazing, and you can click on the link to read it on the Jewish Standard's website, along with seeing the photos and any comments that were posted there (and if you are so moved, add your own). Or read it here. Was Neil Postman right nearly 30 years ago, when he said that television had trivialized nearly everything about our lives? That our ability to apply reason to make sense of the world had begun to atrophy in the overwhelmingly visual, no-delayed-gratification-necessary world we saw by its blue-flickering light? And if he was right, what have the technological advances that make TV seem so very old-school done to us since then? One of Dr. Postman’s disciples, Dr. Lance Strate of Palisades Park, has undertaken the challenge of examining both Dr. Postman’s life and worldview and the accuracy of his predictions. 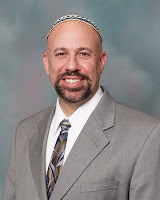 Dr. Strate, who is president of his synagogue, Congregation Adas Emuno in Leonia, thinks that both Dr. Postman and his arguments are profoundly influenced by the Jewish world in which he grew up. That sensitivity, Dr. Strate continued, is at the heart of a discipline called media ecology, which Dr. Postman pioneered and he now champions. Dr. Strate knows about such sensitivities firsthand. The son of Holocaust survivors, he is from Kew Gardens in Queens, another heavily Jewish neighborhood. “The idea is that different media or forms of communication influence the way we feel, we perceive the world, and we behave, and on a larger scale the ways in which we organize ourselves as a society and as a culture. That, Dr. Strate said, is because “with words, we can think much more abstractly.” Images are emotional and evocative, but “you can’t make an argument with images. “Reasoning by analogy is very much at the heart of Jewish learning, and it involves a balance between the spoken and the written word,” he continued. “You can look at ancient Israel as the first great culture to come out of the alphabet. The Semitic alphabet first was introduced in around 1850 B.C.E. “We are not clear on the history, of course, but within a few centuries we have the Exodus and the law. You can’t have written or codified law without writing. Judaism was the first religion to be based on a sacred written text, the first to venerate the book. Once the Semitic inheritance of abstract thought met with Greek philosophy—which itself needed the Semitic alphabet it got through the Israelites’ cousins, the Phoenicians—“that trajectory takes us through Western civilization,” Dr. Strate said. “It was amplified by the printing press, which brought on the modern world. So what does this have to do with his argument about television, the Internet, and beyond? “Postman, like many New York Jews, came down on the liberal side of things,” Dr. Strate said. “He was a defender of the potential of American democracy, and he came to the conclusion that television was completely undermining it. “Building on that, and looking at the expansion of television through cable and satellite, and with the addition of the Internet—we know that there are great benefits that these technologies bring, but the problem is that all we tend to talk about are those benefits. In his own book, Dr. Strate looks at four areas that Dr. Postman tackled first—with the new technology, what happens to journalism? To politics? To religion? And to education? Those four pillars of our culture all were built on words. “All have been damaged by the electronic media,” he said. Similarly, “more television channels have not given us a more serious form of television. Instead, they have given us more outlets for entertainment. “They used to argue that we couldn’t get news in depth because there was only 20 minutes for it each night. Today, we have 24-hour news channels—and they still don’t do extended stories. Instead, they concentrate on people yelling at each other, or on sensational stories, and there is a lot of repetition. So the format really hasn’t changed dramatically. “Politics has not improved much with the electronic media, even with blogs, YouTube videos, and news aggregators. All they have given us is more verbiage. “And there is a lot of attention paid now to online education, to massive open online courses, but I think the best way to understand what makes for a good education is to look at what rich people do.” People who can afford just about anything “opt for very low teacher/student ratios and real face-to-face contact,” he said. He explained the subtitle of his book by talking about the difference between the two dystopias imagined by two British writers more or less midway through the last century—George Orwell’s “1984” in 1949 and Aldous Huxley’s “Brave New World” in 1931. “Orwell was not as prescient as Huxley,” Dr. Strate said. “Orwell’s future was totalitarian. Huxley’s was about complete control by technology. We have allowed technology to be a kind of governing force. It is about doing things as efficiently as possible, so other human values get pushed away as a result. “The reason for the decadence in ‘Brave New World’ is to keep everyone happy and functioning, so they will continue to be productive, and society will continue to roll on. “That’s one side of the coin now. The other is that we are drowning in information. We don’t know how to say no to any new technology.” Not all new products catch on, he added, but the technologies behind them do. Judaism had that idea long ago. Jews have known since the beginning that once a week, it is necessary to take a break. Some secular Jews have adopted the idea of “technology Shabbat” from more observant ones; it is a time for them to disconnect from all their devices and interact with the world directly. Despite the many virtues of our electronics, that occasional and regular disconnection is necessary if we are to continue to advance, Dr. Strate suggests. If you are interested in another point of view, here is a link to a book review published in an online Christian journal. I know teens can be tough. I raised three of them myself. Adolescents can be adversarial. They can be insolent, insubordinate, and impudent (among other adjectives I can think of—all good SAT words). But you’ve got to love ‘em as well. You can see them maturing (slowly) before your eyes. You can see the glimmer (occasionally) of thoughtful, caring human beings. You can’t help but appreciate their energy (when they are not sleeping late) and their passion (when they are not distracted). It’s even possible to have a good conversation with them (when they are not on their cell phones). In all seriousness I want to pay tribute to our teens, because they enrich the life of our congregation in ways you may not appreciate. Members of our Confirmation Class make a three year commitment past bar/bat mitzvah, and study with me on a bi-weekly basis. Our madrichim (Religious School teaching assistants) provide invaluable support to our teaching staff. They are quite popular with our students and serve as great role models. Our talented readers and singers enhance our celebration of the High Holidays and Purim. Behind the scenes teens help with the maintenance of our house and grounds (and there sure was a lot of snow to shovel this year). I’m going to name names in the list of activities below, all accomplished by our teens in the past year. It’s quite a list. Let’s just say it’s a collective thank-you to all our fine young people. We add special thanks to our graduating seniors as they move on to college—we will miss you. Rianna Rosenberg, Natalie Hayot, Sandy Pecht, Julian Pecht, Oliver Raciatti, Alex Bien, Emma Schuller. It has been a great honor for me to serve Congregation Adas Emuno this past year as your Cantorial Soloist and Music Teacher. You are a wonderful and unique community of down-to-earth folks, and I felt so genuinely welcomed and embraced from the very start. 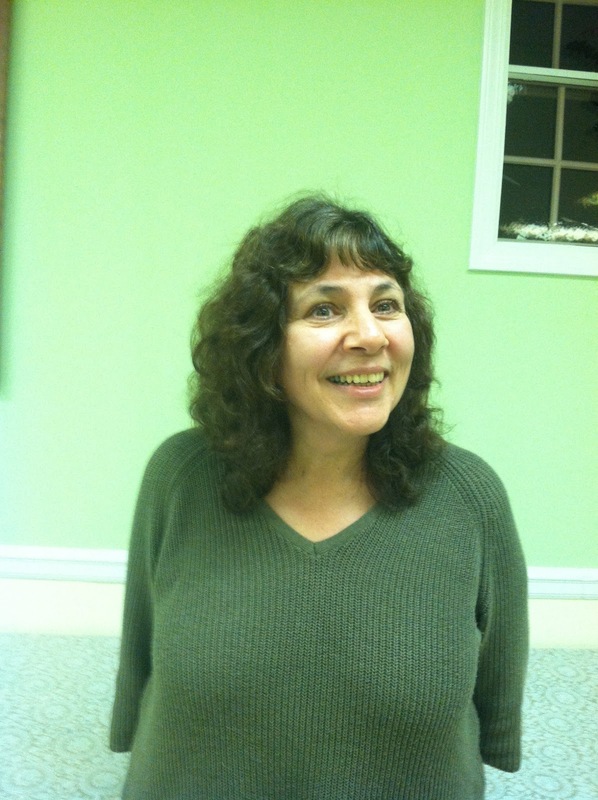 Thank you for sharing in the joy of Jewish worship and music with me. I leave you with the warm feeling of knowing that what we shared together was truly special! It's been some winter, hasn't it? But finally, finally, finally, it's come to an end, it's getting warmer and warmer out, all that white has finally disappeared and the green has taken over, and we recently celebrated our spring holiday, Passover, the festival of our liberation and freedom. Soon enough we'll be enjoying the summer heat, or complaining about the humidity. But for this brief moment, I ask that you think about this season of rebirth and renewal. It is a time to think about our renewal as a congregation and nonprofit organization. Every June we hold our Annual Congregational Meeting, as mandated by our By-Laws (newly revised, as approved at our special congregational meeting last month). Please note that the date of the meeting has changed, and it will be held a week later than previously scheduled, on June 26th at 7 PM. At our annual meeting, we will be electing the congregation's officers, all of whom serve two-year terms, and trustees, each of whom serve a three-year term. Your vote sends an important message of support to our congregational leadership. Even better, if you are interested in serving, we really could use your help, so please contact Virginia Gitter, who is chairing the Nominations Committee. At our annual meeting, we will also continue the discussion began at our March special congregational meeting on the status and privileges of non-Jewish members of the congregation. Come and let your voice be heard on this important subject, and listen to what others have to say. Renewal also applies to our religious school. It's time for parents to renew their children's enrollment for the next school year. Please help us to prepare properly for the coming year, in which renewal also means some significant changes. 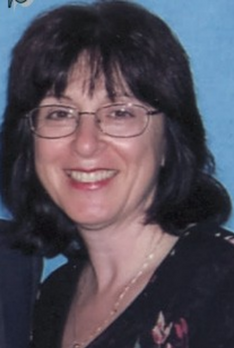 As we look forward to the arrival of our new Religious School Director, Sandy Horowitz, who will also be serving as our congregation's new, newly ordained Cantor, I would like to take this opportunity to thank Annice Benamy for her two years of service as Director, as well as to express our appreciation for Nancy Beller-Krieger for serving as our Cantorial Soloist this year, and Cantor Estelle Epstein for her work as our B'nai Mitzvah tutor. Renewal also means renewing your membership. Remember that we need your financial support to survive. The end of June marks the end of our congregation's fiscal year, and renewal also means a renewal of your dedication to maintaining Adas Emuno's financial health. And also remember that we will turn no one away due to financial exigencies. Renewal applies not only to your own membership, to the membership of Adas Emuno as a whole. We need your help to bring in new members, so that our congregation can continue to survive, and thrive. Help us to promote Adas Emuno, and get the word out about all that we have to offer as an intimate and inspirational Reform Jewish temple. This is a season of renewal. It is a time of renewal for our congregation and our religious school. And it is a time for each and every one of us to renew our support and commitment to Adas Emuno. 1. Balfour Declaration—The dream comes into view, after intense lobbying. 2. United Nations Partition Vote—The dream becomes reality. 3. Declaration of Independence—A Jewish homeland after 2000 years. 4. War of Independence—Israel will have to fight for her existence, but prevails. 5. Six Day War—Modern Israel is like the ancient Maccabees. 6. Yom Kippur War—The illusion of invincibility is gone, but invasion is stayed. 7. Entebbe—Miracles do happen; a first class military helps. 8. Begin’s Election—A Polish Irgun leader becomes the voice of the second Israel. 9. Sadat’s Visit—Euphoria that peace is always possible. 10. Rabin’s handshake/assassination—When euphoria gives way to despair. Clothing Drive—We collected approximately 30 bags of clothing for children, women and men; thank you, thank you! Cantor Nancy Beller-Krieger filled her car numerous times with these donations and had them picked up from her home by House of Blessing, which gives the clothes to anyone in need. A sincere thank you to our Cantor for putting us in touch with this wonderful organization and for the "delivery service"! Good Deeds Day—The Jewish Federation of Northern New Jersey held a county wide food drive, culminating on Good Deeds Day, which our congregation was involved with. We collected food and delivered it to the Federation's office in Paramus. Thank you to all who donated, with special appreciation to Lauren Rowland and Richard Alicchio for their work on this project. A "SUPER SPECIAL THANK YOU" to Hannah Scowden, who volunteered her time at the Federation's office on Good Deeds Day, helping to divide up food donations so that various food banks received them. Good for you, Hannah; great job!!!!! Many people did NOT go hungry because of your help! We are sooooo very proud of you!!! Oh, and thank you for bringing your mom, Sandy Zornek! Please continue to bring nonperishable, unopened, unexpired food to the temple, to be delivered to the Center for Food Action in Englewood. Apparently, the shelves are somewhat in need. Soda can tabs continue to be collected for Ronald McDonald House. Happy springtime, everyone! So, Happy Birthday Israel! May your 66th year be one of peace and prosperity! In the words of the founder of the Zionist movement, Theodor Herzl: If you will it, it is no dream.